Anyone who enters my world! 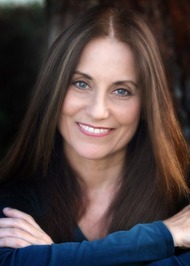 GLYNNIS CAMPBELL is a USA Today bestselling author of swashbuckling "medieval action-adventure romances," mostly set in Scotland, with twenty books published in six languages. Glynnis once rocked in an all-girl band called The Pinups on CBS Records, did voiceovers for the MTV animated series, "The Maxx," Diablo and Starcraft videogames, and Star Wars audio adventures, and is married to a rock star. She loves to transport readers to a place where the bold heroes have endearing flaws, the women are stronger than they look, the land is lush and untamed, and chivalry is alive and well! Sign up for her newsletter at glynnis.net! To ask Glynnis Campbell questions, please sign up. I have a question concerning an author's point of view. If you read a book and it was just awful, had good ideas but the characters didn't stay in character and the story just didn't flow, how would you handle writing a review? I usually just don't do the review. Sometimes I try to send a private message explaining what I felt was wrong and maybe how to fix it. I would like to know how an author would handle it. I'm celebrating my new website at http://www.glynnis.net by giving away 3 FREE BOOKS to all new newsletter subscribers! We’d love your help. Let us know what’s wrong with this preview of The Forbidden Door by Dean Koontz. For fans of romance writer, Julie Garwood. If you love her historicals or her contemporaries, then come on in and have fun. Thank you for friending me.Haven't yet found your books...guess I can try to special order them, from Barnes & Noble, as I love both Fiction, and Non-fiction books about Scotland. Have a great day.